Notes: Volume 120, No. 1 & 2, Whole No. 693. Cover illustrates "The Bird Cage". de Lint also reviews the graphic novel "The Night Bookmobile" by Audrey Niffenegger. 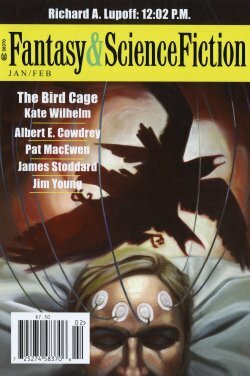 The cover is incorrectly credited to Kristen Kest when it should be Kristin Krest as it is credited on the F&SF website.